WARNING: We'll be raising the price back to $99 VERY soon... so lock in your savings NOW! Add to Cart - Just $19! HURRY! 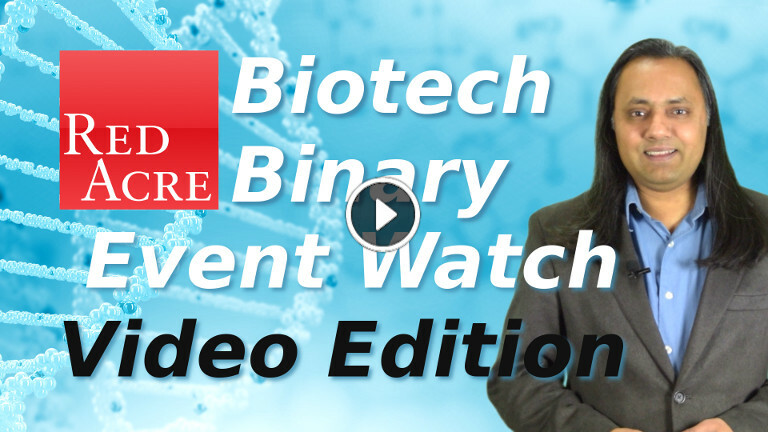 Order the Video Biotech Binary Event Watch Now!!! Disclaimer: This is NOT an offer for Securities. By accessing this information you acknowledge that it does NOT constitute Individual Investment Advice. Investing in securities involves the risk of loss. You should consult your financial advisor about the suitability of investment styles and products for your portfolio and financial goals. Red Acre Investments is not a Registered Investment Adviser.